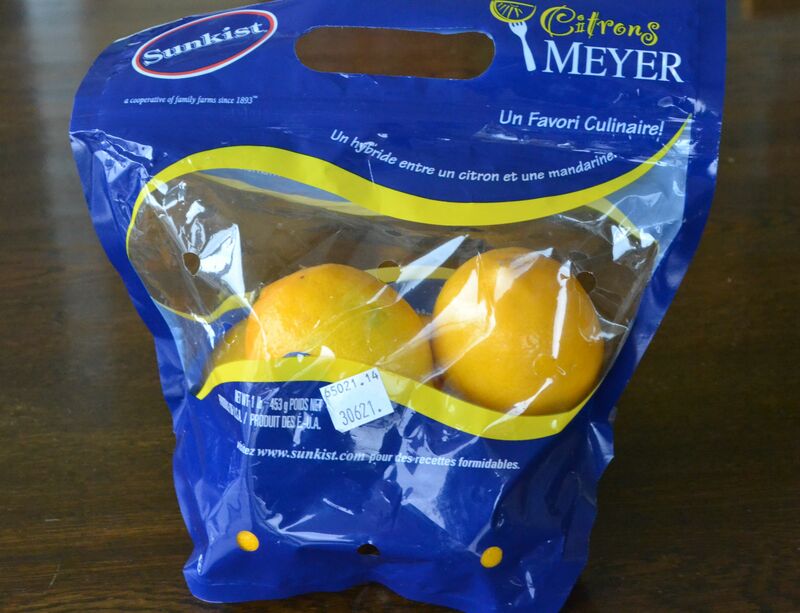 I picked up a bag of Meyer lemons at Granville Island and preserved them to use in several recipes that I have collected. Typically, preserved lemons are used in Moroccan and Middle Eastern cooking but, since gaining in popularity in North America, they are turning up in a wide range of recipes for salads, pastas, relishes and desserts. Meyer lemons are darker yellow and rounder than a regular lemon, with a tart and slightly floral flavour, but they may be used interchangeably. If you preserve them now, they will be ready to use in about a month, and I will be posting recipes for them over the next few weeks. Scrub the lemons and dry them well. Cut off the hard stem at one end, then from the other end, cut in half downward, stopping about 1″ from the bottom, then make another downward slice, so that have made an X. 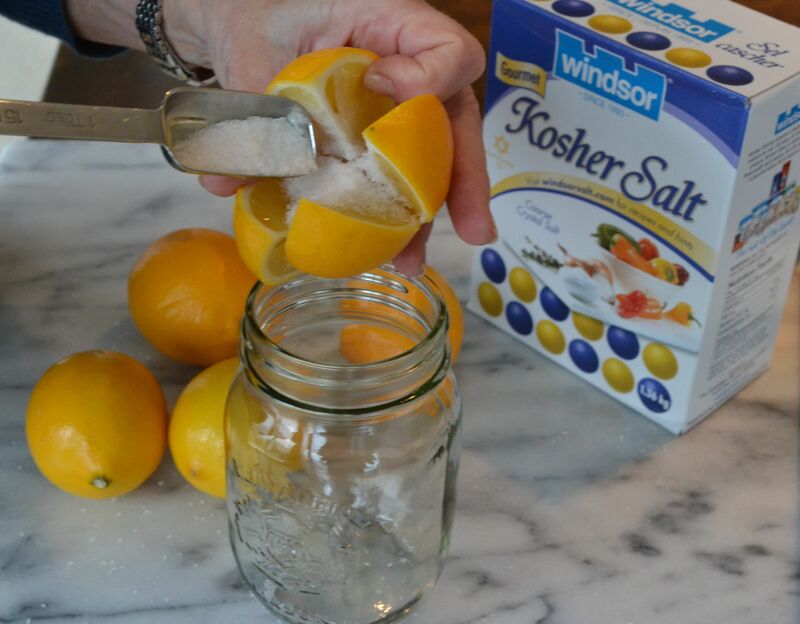 Pack about 1 T.Kosher salt into each lemon and put them into a clean, glass jar with a tight-fitting lid. I used a 500ml. 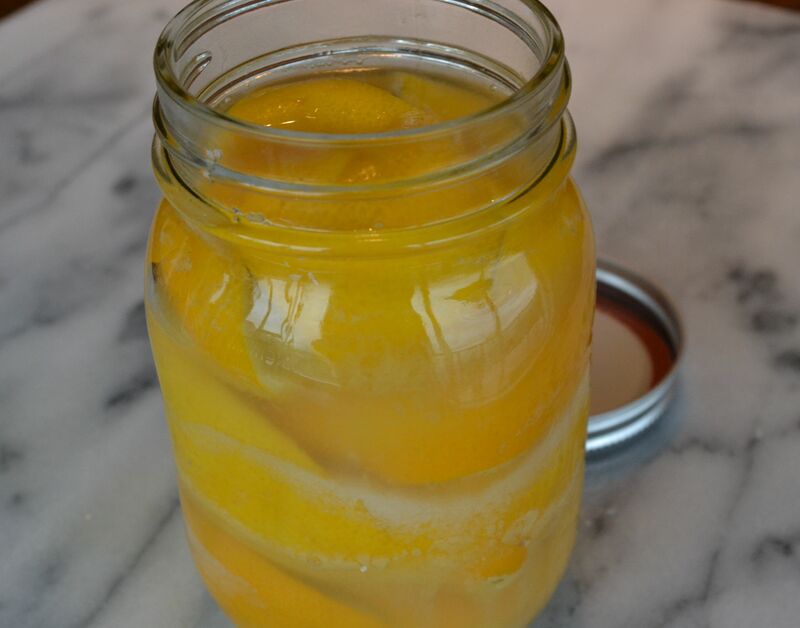 (2 c.) jar which fit 4 lemons. Press them in firmly so that they release some of their juices. Make sure that the lemons are covered with juice, adding more squeezed juice if necessary. Screw on the lid and keep them on the kitchen counter, turning the jar upside down every once in a while to mix the salt and juice. You can keep them on the counter for one month (the better to admire them!) then put them into the refrigerator and use them as needed. Me, I buy my preserved lemons! But is this a thinly-veiled reminder that I should send you my Marrakesh cooking school chicken recipe?